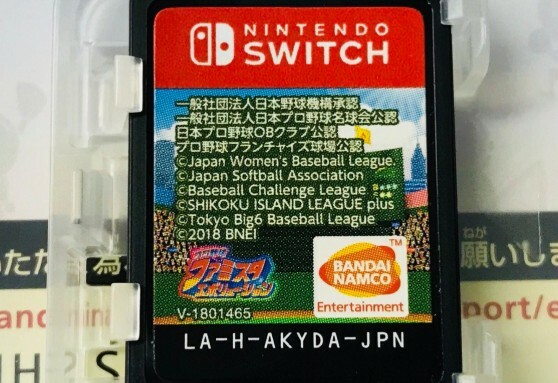 Bandai Namco Entertainment’s baseball game, Pro Yakyuu Famista Evolution, has a really strange Game Card design in Japan. According to this photo shared by Twitter user @harimoto_ar, the copyright text for Pro Yakyuu Famista Evolution is so large than it has taken up two third the space of Game Card’s artwork. As a result, the Pro Yakyuu Famista Evolution logo and Bandai Namco Entertainment logo had to be shrunk even further. This is kind of odd to see considering that most Game Cards have their logo taking up most of the space, rather than the copyright text.